L’ENCÀRREC PROVÉ DE LA MARCA BAGO I CONSISTEIX EN PROJECTAR UN CONTENIDOR TRANSPARENT HABITABLE PER FER VISIBLE LA VIDA D’UN ARTISTA DURANT UNA SETMANA EN PLE CENTRE DE MADRID. ES PROJECTA UN MODUL PREFABRICAT AUTOSUFICIENT DE 2,5X8M FÀCILMENT TRANSPORTABLE, COMPOSAT PER UN MARC PERIMETRAL CONTINUU ELEVAT SOBRE UNA TARIMA D’1M D’ALÇADA. AQUESTA DISPOSICIÓ PERMET DONAR UNA MAJOR VISIBILITAT DES DEL CARRER I INTEGRAR LES INSTAL·LACIONS AL SEU INTERIOR. L’INTERIOR CONTÉ ELS SERVEIS MÍNIMS PER UNA HABITABILITAT BÀSICA: UN BANY EN UN ESPAI INDEPENDENT ÍNTIM I L’ESPAI PRINCIPAL EXPOSAT A L’EXTERIOR, EQUIPAT AMB OFFICE, LLIT, EMMAGATZEMATGE I TAULA DE TREBALL. 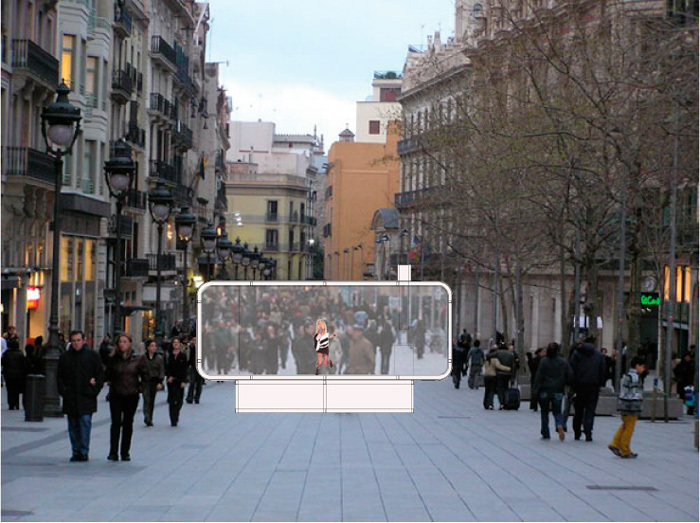 The commission comes from the brand Bago and consists of the planning of a transparent, habitable container to make the life of an artist visible for one week, to be placed in the centre of Madrid. 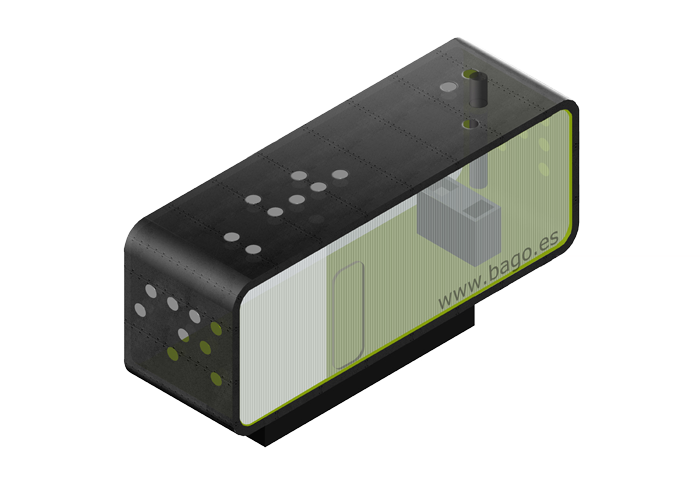 It is a self-sufficient, prefbricated module of 2.5mx8m that is easily transportable, composed of a continuous perimeter frame placed on a 1m high platform: this positioning allows greater visibility from the street and the fitting of the installations inside. The interior contains the minimum services for a basic dwelling: a bathroom in an intimate independent space, and the main space, which is exposed to the outside and is equipped with an office, bed, storage space and a work table.